The Friends of Winchester College in Hong Kong was established to develop closer relations between Winchester and its supporters in Hong Kong. OWs, parents (current, past and prospective), former staff and friends are eligible to join. Winchester has a distinguished entry from Hong Kong and greatly values its association with the Hong Kong community. By joining the Friends you will be contributing to the Winchester way of life. A growing number of activities are being organised by the Executive Committee, of the Hong Kong Friends of Winchester College, chaired by Mr Brian David M B Li (E, 1987-92). Events – The Hong Kong Events Committee is hosting a Gala Dinner at the Hong Kong Country Club on the 5 April 2016, to celebrate Dr Ralph Townsend's tenure as Headmaster. View the invitation and apply for tickets. Network – The OW HK Guild is an opportunity for OWs to network with each other in HK and around the world. Support – a growing number of OWs and parents from Hong Kong are generously supporting the School. The Friends of Winchester College Limited is a registered charity under the Hong Kong Inland Revenue Ordinance. As such all gifts to The Friends, in support of any project at the School, are tax deductible for Hong Kong taxpayers. 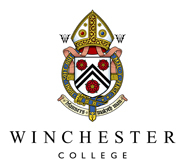 The Hong Kong Friends of Winchester College Ralph and Cathy Townsend Bursary Fund – the Hong Kong Friends have committed to fundraise in support of bursaries for boys from Hong Kong who need assistance with the fees to fulfil their academic potential at Winchester. In recognition of Dr Ralph Townsend’s time at Winchester and significant support of the HKFWC, the Friends propose to name the Fund the ' HKFWC Ralph and Cathy Townsend Bursary Fund'.